Child welfare services are intended to prevent the abuse or neglect of children; ensure that children have safe, permanent homes; and promote the well-being of children and their families. As the U.S. Constitution has been interpreted, states bear the primary responsibility for ensuring the welfare of children and their families. At the state level, the child welfare “system” consists of public child protection and child welfare workers, private child welfare and social service workers, state and local judges, prosecutors, and law enforcement personnel. These representatives of various state and local entities assume interrelated roles while carrying out child welfare activities, including investigating allegations of child abuse and neglect; providing services to families to ensure children’s safety in the home; removing children from their homes when that is necessary for their safety; supervising and administering payments for children placed in foster care; ensuring regular case review and permanency planning for children in foster care; helping children leave foster care to permanent families via reunification with parents or, when that is not possible, via adoption or legal guardianship; offering post-permanency services and supports; and helping older children in foster care, and youth who leave care without placement in a permanent family, to transition successfully to adulthood. 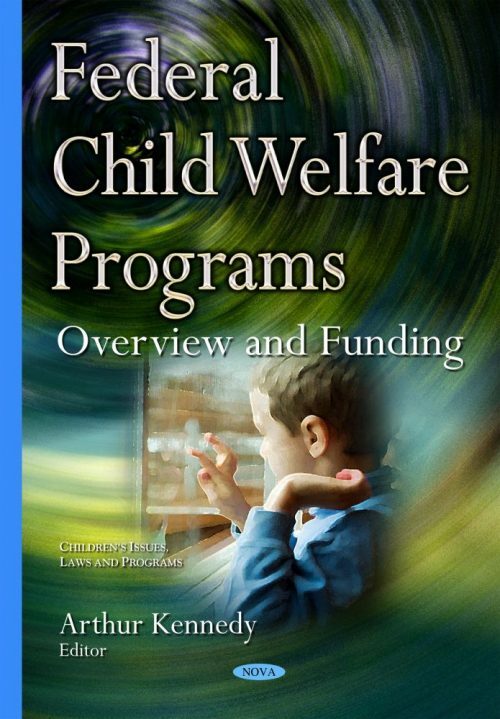 This book begins with a review of federal appropriations activity in FY2015 as it relates to child welfare programs, including the effect of the automatic spending cuts, known as sequestration. The book provides a short description of each federal child welfare program, including its purpose and recent funding levels. In addition, funds appropriated for the PSSF program support grants to state or tribal highest courts under the Court Improvement Program; grants to regional partnerships to improve the outcomes of children affected by their Child Welfare: Funding for Services Under Title IV-B of the Social Security Act Congressional Research Service 3 parents’ substance abuse; grants to states and territories for monthly caseworker visits of children in foster care; and program-related research, evaluation, training, or technical assistance are also discussed in this book.